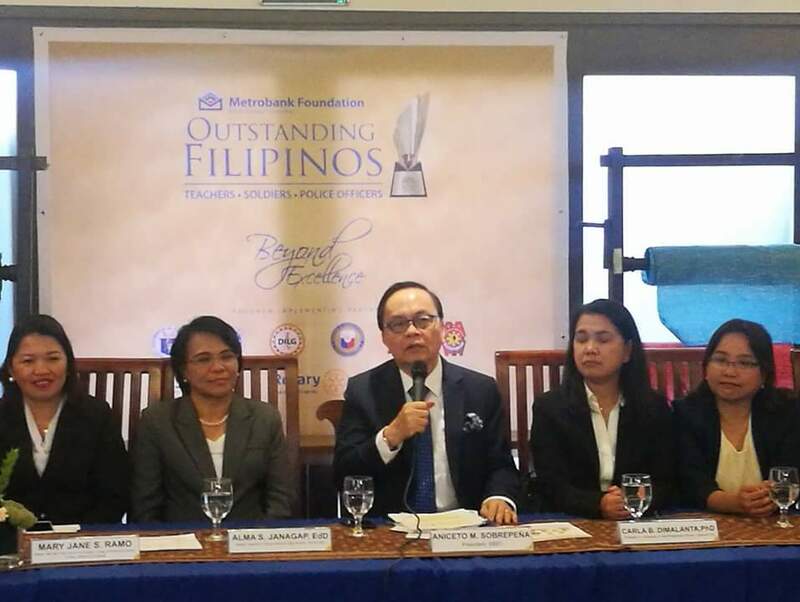 Four teachers, three soldiers, and three police officers make it to Metrobank Foundation's Outstanding Filipinos 2018 line up. 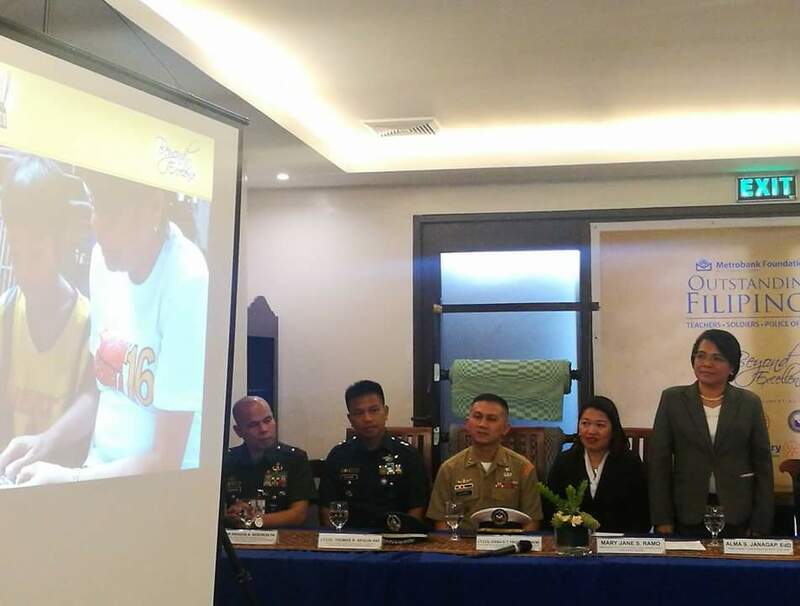 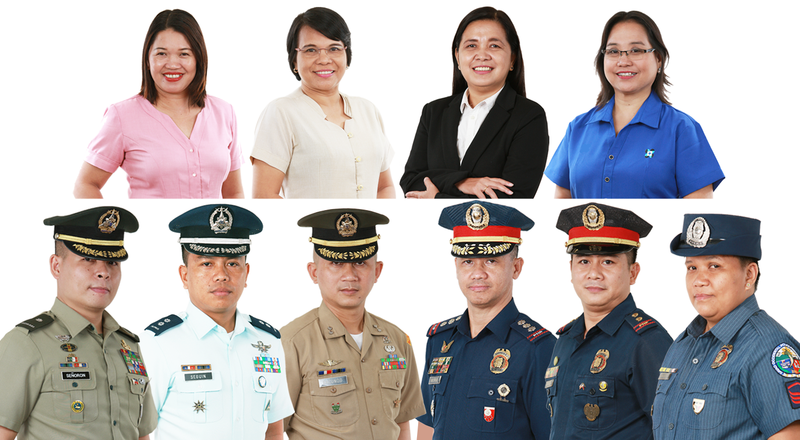 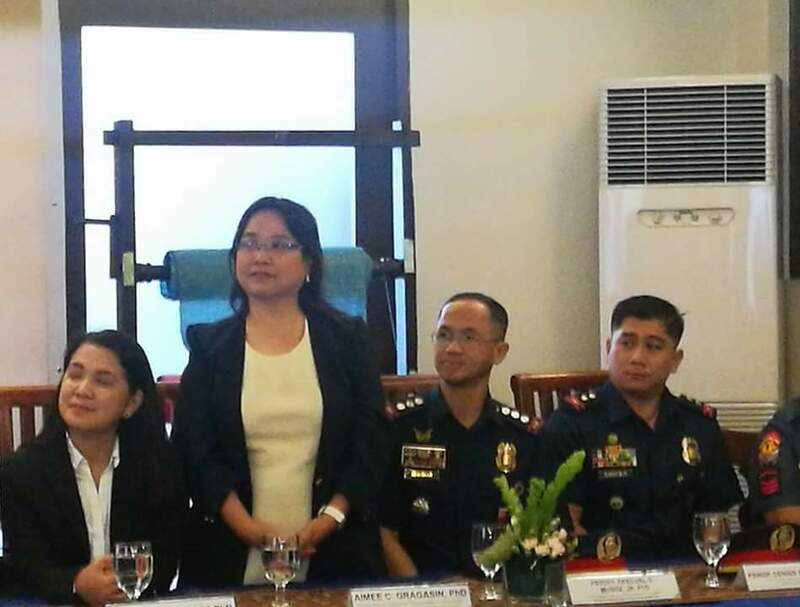 As a career-service award for Filipino exemplars in the academe, military, and police sectors the ten (10) Metrobank Foundation Outstanding Filipinos awardees were presented to the members of the media last August 9, 2018. 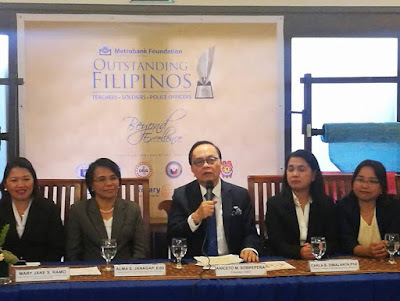 Each awardee will receive a cash prize of PhP 1 million each (net of tax), a gold medallion, and a trophy.